3. Is the Church of England biblical? I want to start by saying just two simple sentences about the church. First, the church exists to worship God in Jesus Christ. Second, the Church exists to make new disciples of Jesus Christ. Everything else is decoration. Some of it may be very necessary, useful, or wonderful decoration – but it’s decoration. What if our response (and Angela Tilby’s) was to say at this point – we understand the word ‘discipleship’ but for a variety of thoughtful and theological reasons we don’t use it. We prefer the word ……. for these reasons ……. Can anyone fill in the blanks here? What word do we claim to be authentically Anglican that sums up our calling to be a church being led and leading others into radical conversion of life, taking up your cross, faith, prayer and holiness, self denial and the service of others, following Jesus, loving enemies, peacemaking, justice, attentiveness to scripture, obedience to the divine will and being formed in the likeness of Christ? In terms of ordained ministry, what does the ordinal say about the role of priests/presbyters? They are to be messengers, watchmen and stewards of the Lord; they are to teach and to admonish, to feed and provide for his family, to search for his children in the wilderness of this world’s temptations, and to guide them through its confusions, that they may be saved through Christ for ever. Formed by the word, they are to call their hearers to repentance and to declare in Christ’s name the absolution and forgiveness of their sins. With all God’s people, they are to tell the story of God’s love. They are to baptize new disciples in the name of the Father, and of the Son, and of the Holy Spirit, and to walk with them in the way of Christ, nurturing them in the faith. They are to unfold the Scriptures, to preach the word in season and out of season, and to declare the mighty acts of God. The Pilgrim Course has been used wonderfully by God both to bring people to faith in Jesus Christ and to enable them to grow as his disciples. It is my prayer that the complete course will continue to be an effective tool for the Church as it seeks to fulfil, in God’s grace, the urgent task of making disciples – so that the light of Christ may shine in every corner of this land through all who follow him. So if you don’t think discipleship is a very Anglican term, you are going to have to dissociate yourself from a good deal of what is happening in the Church today! It is still important to reflect on the place that the idea has in Scripture. I would agree with Angela Tilby that ‘There’s little about disciples in the rest of the New Testament; certainly not in Paul’s letters, in spite of his missionary passion.’ But we need to think about this carefully. First, the language of discipleship is not found per se, since the NT does not share our fondness for abstract nouns but prefers personal, concrete terms. So the question is to what extent ‘disciples’ (rather than ‘discipleship’) features. Secondly, we need to note what being a disciple involves. 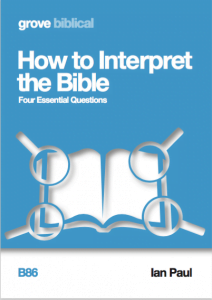 In the gospels, it includes three key ideas. The first is that of change, a departure from one’s current situation (literally or metaphorically), a new pattern of life. Typically this involves a moment of decision, and is summed up in Jesus’ early preaching ‘The time has come; the kingdom of God is at hand. Repent and believe the good news’ (Mark 1.15). The second is the idea of journey, a commitment to learning from the one the disciple is following. This is made explicit in Matthew’s gospel, by gathering Jesus’ teaching into five blocks (possibly imitating the five books of Moses). This then gives a two-fold movement to the life of the disciple—an inward movement to gather around the teacher and listen to his teaching, and an outward moving in mission and ministry to make this teaching and practice known. This is perhaps what makes Matthew (in the words of one commentator) ‘a manual for discipleship’. This journey of learning is expressed in a slightly different way by Luke, who styles the central section of his gospel as a journey following Jesus ‘on the way’ (from Luke 9.51 onwards). The third idea is that of community. Following the Jewish pattern of being attached to a rabbi, it is clear that to be a disciple, leaving behind the old way of life and embarking on a journey of learning, means to join with a community of others on a similar journey. Such was the radical nature of this commitment that the band of disciples that you had joined actually displaced your natural family in terms of loyalty and solidarity. This is behind Jesus’ shocking injunction to ‘let the dead bury their own dead’ (Matt 8.22) as well as Jesus explicit teaching on who constituted his own family (Matt 12.46–50). Matthew has this saying stand on its own, but Mark characteristically wraps it around another episode—the debate about whether a house divided against itself can stand—in order to emphasise the sense of committed unity amongst the disciples (Mark 3.20–35). Recognising these three dimensions of discipleship makes sense of two things. First, you can begin to see how the ordinal, and other discussion in Anglican documents, touches on issues of decision, learning and community. They might not always use the term ‘discipleship’ explicitly, but this is the root from which such ideas spring up. Secondly, this also makes sense of other terms that the NT uses. I would suggest that the five terms ‘disciple’, ‘family’, ‘kingdom’, ‘body’ and ekklesia (citizens’ gathering) are different ways of expressing this three-fold idea of decision, learning and community, but with slightly different emphases and deployed in different contexts. For example, Paul’s language of Christians as ‘the body of Christ’ clearly includes the sense of demarcation that comes from decision (1 Cor 12.3) and the idea of mutual belonging is powerfully expressed. But because learning is not an obvious part of this (slightly static) metaphor, Paul adds to it the notion of ‘building up’ (1 Cor 14.4, 12). It would be perfectly possible to map each of these five ideas onto each other, and see where and how the three elements are expressed. Witness and evangelism are expressions of the overflow of the love and joy of the grace of God into our lives, and the life of His whole Church and His whole world. But empty pews won’t be filled without it. So if discipleship is biblical, and making disciples isn’t very Anglican, it is perhaps just at this moment that the Church of England needs to become a little more biblical again. Does faith come in stages? Good stuff Ian—Woodhead and her acolytes (yes, I can use rude terms too!) seem determined to make the CofE a body which is bound to die. Ah, wonderful irony in your using that term, since of course akoloutheo means to follow, which is what disciples do…! Thanks for this, Ian. Very helpful! When I read Angela Tilby and Linda Woodhead’s responses to the d word, I was shocked that any Christian leaders could object to a term and a concept that was so fundamentally biblical. I think you have made an excellent case here for its presence both in the gospels and epistles. What I also find fascinating is the pick and mix nature of much Biblical interpretation, these days. In the case of the LGBT issue, we are constantly reminded that Jesus said nothing specific about it, and so the epistles don’t count. Yet, in this case, the fact that Jesus talks about it endlessly, but that the word doesn’t appear in the epistles, is reason enough to dismiss it! Help! Please! I applaud you for, once again, looking at the Whole Story and the Big Picture of scripture in your analysis. Thanks Bob. Yes, it is surely a very odd approach to claim that Jesus’ constant concern with those who are ‘disciples’ could be used to say it is a narrow idea! Why bring in LGBT to an otherwise interesting comment? Surely there is a distinction to be made between ‘pick and mix’ as you call it and the reasoned recognition of the contextual nature of cultural/societal assertions in the Bible? Slaves, eunuchs, having more than one wife, the notion of a vengeful God…need I go on? Thanks Ian – helpful to be reminded that ‘discipleship’ may not be all over the New Testament as a word, but conceptually it is very much there. I always think of discipleship as really another way of saying ‘leading the Christian life’ – learning to be a follower of Jesus. To deny that discipleship is not fundamental to the Christian life is, to my mind, a little like claiming that driving is not fundamental to operating a car. I find it interesting that no-one in the CofE dares to voice the fact that many of the evangelical churches which are committed to discipleship are bucking the trend and growing. Anecdotally, the churches I know which are committed to making disciples are doing pretty well, whereas most of the churches I know that are struggling are generally not seeking to make disciples. From other people I speak to this is not just my experience. Yes, I agree Phill. I think one of the key issues is whether ‘church’ has fundamental continuity with contemporary culture, or the extent to which it is counter cultural. Thanks for this commentary on the previous discussions about disciples and discipleship. I wonder how we discern the difference between Apostles and Disciples? Jesus chose the 12 Apostles, and also chose Paul in a different way, but chose him all the same. The Apostles drew a successor to Judas by drawing lots after prayer for guidance.. Does that invalidate Matthias than became one of the twelve. Was he a second class apostle? Jesus told the apostles via the great commission to go and make disciples (followers) from all nations. Did he mean the disciples to be less than the apostles? I’m not sure that he does. Jesus modeled servant leadership, so we’re all called to such service, which must by definition mean making disciples. Evangelisation being the primary purpose of the great commission, means making disciples through our actions, whether actively going out and proclaiming the good news, or just living out the gospels as witness to the nations in such an attractive way, that disciples will be made by them being drawn to the essential truth and beauty of the gospels. So, to me, disciples, discipleship and discipling are key words or concepts closely related to and intrinsically part of mission and evangelisation, that we shouldn’t ignore or discard them in favour of softer words or ones that appeal to a post-modern, post-christian culture. We need to be clear and defiant about discipleship because it’s key to the future building of the Kingdom here and now.
. ‘disciples’ is a more generic term, and sometimes applies to the 12, at other times is used more widely.
. Paul uses the term ‘apostle’ much more flexibly, including a range of leaders and appears to count women among them (in Romans 16.7.
. the ‘apostles’ are both bearers of the message of Jesus, and ones who are sent. In some sense the first generation of apostles is foundational (Eph 2.20) but also offering a pattern of ministry (Eph 4.11). I am long in the tooth because I remember Juan Carlos Ortiz’s wavemaking ‘disciple’ book .. this is not an idea that is going to go away, and if it does, then there’s nothing much left! So do I! Been talking about this a long time…! Thank you Tim. Great to be reaching Kenya…! Thanks for this really helpful article which has put some scholarly flesh on the bones of the hunch I have that all the fuss about the d-word, much like the same about the e-word (evangelism, in case you were wondering! ), is really a case of semantics. I am noticing increasingly the power of carefully chosen language to transform conversations and understanding about these fundamental and vital concepts. We need to help people not to be afraid of words and to recover confidence in their ability to articulate their faith – ‘decision, learning and community’ sound like a good way of doing that. How that form of discipleship within a small community can be translated to the average parish church, with a Sunday service and a midweek house group / study group programme is probably the big issue in the difference between increasing the number of service attendees vs making disciples. Do we need to rediscover living as a community of disciples, living closely with and learning from those that can teach and demonstrate Christian discipleship (as a result of them being disciples commissioned to ‘make disciples’)? Maybe the first hurdle to overcome is the model of being part of church only involves turning up at meetings? Thanks for the link to the book Graham—looks very interesting! I think he begins with the wrong question. The question should be how should we disciple whether it is denominationally correct or not? Can you imagine Jesus asking the question is discipleship Jewish? Thank God he was more confident of his vocation than that! He knew he was Jewish and he knew that discipleship was the right thing to do, whether denominationally correct or not. Thank goodness he left us with such a clear commission at the end of Matthew. But yes- it does seem to be peculiarly the right time to focus on this matter all the same. Let’s analyse an article on the question of discipleship in the Oxford handbook of evangelicalism to look at this question a little more historically. This concern about a ‘particular orthodoxy’ is addressed with appeal to other forms of evangelicalism. The brilliance and success of post WW2 North American evangelicalism’s appeal to salvation is noted, yet the dearth of behavioural transformation found therein is also flagged up. 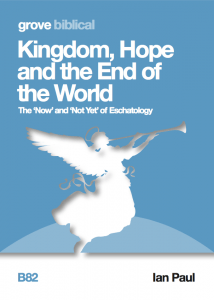 The charismatic focus on presence and power has meant that ‘today the most effective carriers of ‘evangelical truths’ to the world are in fact charismatics’, Willard continues, despite the rejection of the movement within many aspects of evangelicalism itself. 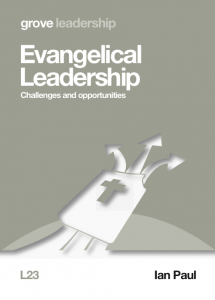 A further development in discipleship among evangelicals has been in Christian Psychology, again initially resisted, but now a credible means of evangelical discipleship in higher institutions, filling the perceived gap for the life of the individual amongst denominational distinctives. This movement, then expresses a view of salvation, which is essential for discipleship. This is the case Willard charts out in his opening statement that post world war 11 evangelicalism in North America has had no essential place for discipleship in it’s view of salvation. How about the UK instead then? I agree with this observation, but it is coming from the other direction. In the C of E, the general resistance to discipleship is to its sense of decision and commitment. There are many who would rather that the boundaries were blurred, and that we did not ask too much of people. There should not be any particular cultural distinctives to set the Church apart from surrounding culture. In this context, discipleship is a challenge to commit to a path of learning, change and growth. From the other side, evangelicalism has never had a problem with decision and commitment—in fact, it could be argued that it is too enamoured of it. The focus has been the point of decision from one ‘state’ to another. This was exactly how I was presented it. The upside is being happy with distinctives, but the down side is a lack of engagement with the process of learning and growing. After all, if I am now ‘saved’, what else is there to do? I think this is the point Willard is making, and it is evident in the US, but particularly so here amongst (dare I say it) free church evangelicals. I wonder if Anglican evangelicals are less in danger of this static view because of the contact with the idea of a catechumenate within more sacramental elements of Anglicanism? I should add that the notion of discipleship we find in the NT combines both the sense of change of state with the notion of continued learning—and adds to that a strong sense of community which neither evangelicalism nor Anglicanism have been good at. You need to look to more radical groups (e.g. anabaptists) for that. Dear Ian, Sorry not to use your name and thank you for using mine. Although I would like to address this question from the broad precepts of the words Jesus gave us in his resurrected condition, which I believe is the foundation of all intentions towards Christian discipleship, I think a word regarding the focus on Anglican discipleship is appropriate in reply to this blog. Anglican (evangelicalism) could go in either two directions- its Catholic heritage and sacramentalism, (not its true roots, article 25 is a great one) or worldwide evangelicalism (all nations). This does not have to be a North American vision, but I don’t see why we should not engage more with the evangelical greats such as Graham. It would not be sensible to do otherwise. If we don’t get on with them, perhaps God is trying to tell us something. ‘…..This is the case Willard charts out in his opening statement that post world war II evangelicalism in North America has had no essential place for discipleship in it’s view of salvation. What marks the difference? Well, prior to this period; ‘Eighteenth and nineteenth century evangelicalism made an essential place for holiness and wholeness, for transformation of character and for ordinary occupations as divine calling’. So salvation is thus in the stream of calling, rather than being a goal in itself. Furthermore the essential Arminian character of Wesley and Finney’s revivals are stressed, and it is pointed out that later evangelicals have been more careful to avoid ‘perfectionism than to avoid sin’. 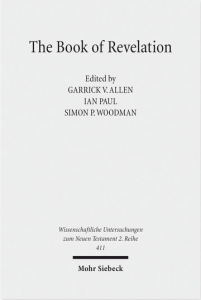 Yet evangelicalism, and its roots going back to Luther, but not personally and exclusively defined by his ministry, is understood generally as a commitment to the ‘Evangel’, and it is this basic tenet, combined with the less stable notion of ‘heart religion’ that has kept evangelicalism ‘constant and irrepressible’. Willard notes the well known dangers and limitations of the arrangement between disciple and student in Judaism and in Jesus’ teaching (Luke 6 vs. 39-40), but nonetheless retains this pattern as the general one upheld by Jesus. The focus is simply on him being with them so that they could be like him (Mark 3 vs. 13-18, Matt. 28 vs, 19-20). The selection method perhaps marks the focus on Jesus’ personal presence more than anything else. The disciples are not selected from the best and the brightest, and Jesus himself is not known for his high level of education. In terms of what is essentially passed on, reference is made to Thessalonians, and the stress on leading a worthy life, imitating the ways of Christ and working hard to support oneself. The book of Timothy is also cited as Paul again makes himself a model for others to follow. The right Paul has in being such an example is ultimately derived from his focus on grace, and this is an important addition to Willard. That Timothy is most essentially a disciple of Jesus, that Paul models and points to is the only way of making sense of the focus on his example. We are also referred to Hebrews 13 vs. 8-9 to underscore the point that the ‘nature and outcome of following Jesus does not change’. The final point made is that despite the omissions of post WW2 evangelicalism, evangelicalism remains a structure within which discipleship, defined as ‘the status or position within which spiritual transformation can occur’ is a vision that remains intact. Exclusive focus on Anglican evangelical discipleship is necessary, but I think this question needs to be wider and more engaging of other traditions and nations if it is to grow. Having said that God help any evangelicalism which emerges from the Evangel, and may he have mercy on the failings of our nation and revive us once again, wherever that comes from. Nicholas, you comment ‘Thank goodness he left us such a clear commission at the end of Matthew’, presumably you mean ‘to make disciples? Surely this is only ‘clear’ if there is a thorough understanding of what Jesus himself meant and what his 1st C hearers would have understood by ‘make disciples’. Until this is understood anything that is done with the label ‘making disciples’ or ‘discipleship’ runs the grave risk of being a corruption of what Jesus intended. As an ordinand I’m sick and tired of hearing about whether something is Anglican or not. The question is “Is it biblical or not?” We need to get past denomination and ask ourselves if it’s true to the faith we hold – rather than the denomination we minister in. Yes there’s stuff to learn from denomination and tradition in implementation – but not in justification of why we do something. We disciple because Jesus calls us to as his followers – not because we’re Anglicans! 1. Can I do this with integrity? I think the answer is ‘yes’ once I have explored these questions. When I was an RC, the answer was ‘no’ and so I left. 3. If we are engaged with others in debate about the nature of being Anglican, then we need to be clear on what terms we have that discussion. Is it enough to say ‘It is biblical?’ If so, then how does this conversation differ from a conversation with a Baptist, or Catholic, or… In other words, does the shared inheritance of our Anglican identity actually make any difference? Thanks for this. It crystallises the significance of discipleship. As such, they view with suspicion the relative prominence given to discipleship, considering it to demarcated a Christian identity that is segregated from the wider community of the synagogue. They believe that the ‘sectarian’ sociological model best describes Matthew’s story of discipleship. Woodhead and Tilby are mistaken because the sectarian model of Matthean discipleship is unsatisfactory. While his gospel highlights escalating conflict with the synagogue, there is little evidence that the discipleship identity led to the kind of segregation that they fear. As Carter continues: ‘John and James continue to be defined in terms of and in direct relation to their parents. Peter has house and family, despite claiming to have left all to follow Jesus. Jesus has his own city, Capernaum and possesses a house. Disciples are instructed to render to Caesar and to God, a concept that recognises both societal participation and overarching loyalty to God’. It means that Woodhead and Tilby are unjustified in taking such a dim view of Matthean discipleship. They mistakenly assume that it imposes a narrow sectarian identity that is at odds with societal participation and the rest of the NT. They are patently wrong. Thanks David for the wise and lucid comment. Yes, I agree with you that there is a fear of ‘sectarianism’, and I guess it is a moot point what lies behind this. It could be a justified fear of abuse. It might also be a resistant to the notion of any sort of distinctiveness, demarcation or commitment. Thanks for this. Interesting reading. I do wonder whether you haven’t quite given full representation of Linda Woodhead or Angela Tilby’s views. I think (although haven’t done the research) that i the phrase “discipleship” is a fairly recent one in the vocabulary of the church – it’s not a word that would have been used so much in the 19th century. What Linda Woodhead says is it’s a ‘theologically peripheral concept’, not that it’s not biblical so therefore to challenge her point I think you would need to either show that it’s a central concept or at least more significant than the two ideas she suggests which are “Life in Christ” or “Life in the Spirit”. Now I think that many would suggest that that is what they mean by discipleship. Which to me leads to two questions – is it the best word to use? And what is Linda Woodhead and Angela Tilby’s problem with it? I think the answer to the second question is actually they see it as affirming the arrangement that the ordained minister is the Jesus figure and the laity are the disciple figure who follows the ordained figure. Instead what they (from my reading) are calling for is a concept which brings full participation for the laity. 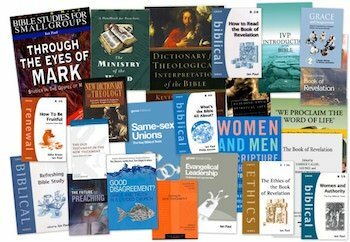 That’s something I can say amen to – maybe that is what people mean by discipleship, but I do wonder whether there is something of value in Woodhead and Tilby’s articles. Perhaps they are offering an opportunity to sharpen our understanding of discipleship rather than abandon it. James, thanks very much for the interesting critique. I agree with you that the word would not have been used much in the 19th C—but I am not sure that sure be our guide as to whether it is a ‘theologically peripheral concept’. The idea (if not the word) was very prominent in the Wesleyan revival in the 18th C, and is surely also the notion behind the whole concept of a catechumenate, in one form or another. But in the end, for me as an Anglican (!) I need to be shaped by its prominence in the NT. I do think it remarkable that Tilby should use the language of it being ‘only in one part of the NT’ when that part is the gospels! Are there other things which are central to Jesus’ teaching which we should regard as ‘peripheral’? The kingdom of God, perhaps? After all, this is not a prominent theme in the OT and not a central idea in Paul either..? In relation to the two alternatives: ‘life in Christ’ is an interesting one, in that it picks up the notion of ‘incorporation into Christ’ in Paul. However, the term itself isn’t really present there, and is entirely absent from the gospels. ‘Life in the Spirit’ again is not so central in Paul—though I would agree with Pentecostal scholars like Fee that the Spirit is a central theological feature of Paul’s writing, contra many non-Pentecostal scholars. But if we are to use the language of the Spirit, then we need to use it in the way Paul does, and continue to talk about transformation, the fruit of the Spirit, and the gifts. We also need to identify life in the Spirit with commitment to Christ and new birth as Paul does—in other words, the presence of the Spirit creates the same kind of demarcation as the idea of discipleship does. But it seems clear to me that Woodhead (with her reference to the Spirit in the world) really does not want to do. I would agree with Woodhead in the dangers of making the ordained leader central—something at least as much a problem in the Catholic tradition (father knows best) as the evangelical. But why not just say that? The answer to wrong use is right use not no use. The biblical model is that we are *all* disciples of Jesus, not that some are disciples of others. Btw, if you really want to hit on a ‘peripheral theological idea’ in the NT, then ‘partakers in the divine nature’ is it! Not unimportant, and not without value…but hardly central. I am not sure either of them want us to refine our understanding of discipleship. They might have changed their minds in the light of discussion—but both pieces are making a strong case for ditching the term. Thanks Rob—that is certainly something that I would aspire to. I am not sure, though, in your initial question, whether you are exploring the role of leaders in discipling others, or whether you are suggesting only Jesus can disciple…? Discipleship implies we are not free to decide for ourselves what God wants Certainly, that is the implication of the final part of Woodheads article – where she alludes to our participation in the divine, and suggest that, therefore, ‘we’ can discern what the Spirit is saying (presumably even if it contains what Jesus and His Apostles said). The problem with is, of course, that Jesus himself called us to follow his teaching – not to decide for ourselves. And, speaking of himself, He even said that he only did and said what the Father wanted. “If you love me you will do what I command” is not the liberal understanding of being Christian… and is not based on the liberal understanding of love for God. Indeed it seems like they are just ‘making it up’ to justify the outcomes they want (shurely not!)? Thank you Ian. Especially for asking whether Anglicanism ought to be more Biblical. I’d go further in response to Angela Tilby’s argument. I think her claim that discipleship is lacking from much of the NT is based on a very inadequate study. After reading her article, and with very little effort, I wrote the following rebuttal (which, in itself, is very brief – it’s an excerpt from an unpublished letter to the Church Times). Canon Tilby bases her case on the fact that the word “disciple” appears only in the gospels and in the “early chapters of Acts”. As it happens the latter point is untrue. As late as Acts 21:16 (at the end of St Paul’s second missionary journey), disciples (math?t?s in Greek) are mentioned. However the argument from the provenance of “disciples” is an interesting one. Why only this cognate of “discipleship”? Indeed, why not just observe that the word “discipleship” itself is entirely absent from the Bible and stop there? I would like to suggest that a study only of “disciple” is inadequate. One must also consider, for example, the Greek word manthan? (the verb “to learn”), an important cognate of math?t?s. This word occurs in 15 New Testament books, including many of St Paul’s letters. A particularly telling usage of manthan? occurs in Ephesians 4:20, “That is not the way you learned Christ!” (NRSV). Indeed, taken in context, we find that St Paul equates “learning Christ” with being “renewed in the spirit of your minds”, which is interesting as Canon Tilby suggests that “life in the Spirit” might be an “obvious alternative” to discipleship. When I think of being a “disciple of Jesus”, I think of what is, too often, the dichotomy of *following Jesus* (that is, modeling oneself on Jesus, and obeying his ethical precepts) vs. *worshipping Jesus* (Evangelical, “Accepting Jesus as Personal Savior”, most catholic Christians, Baptism and the liturgical life of the Church). Does “discipleship” truly included BOTH following and worshipping? If one calls oneself a “Christian”, I think we can take the second as given (in either Evangelical or catholic manifestations, or both). But the former? I’m given to think of the two sons asked to work in the vineyard in Matthew 21. Even those who SAY they won’t go and do the work of Gospel (vis-a-vis becoming a Christian) may actually DO THE WORK (see re Matt. 25) a heck of a lot better than professed worship-on-Sunday-every-week! (or more) Christians. Who’s really a disciple here? The problem may in part be who has used the terms heavily in the recent past. Whilst I don’t personally have a problem with the terms ‘discipleship’ and ‘discipling’ I’d certainly not use them in the church I worship at or other churches I have contact with in Anglican, Methodist and URC traditions. Too much perception of them meaning hardline evangelism and experience of so-called evangelicals running activities that purport to be Christian Social Outreach and using them as a vehicle to evangelise (seeming to feel it’s ok to lie for God). I guess that’s the second part of of the David Runcorn blanks. For the first part, people use two phrases not a single word instead of discipleship – either ‘coming to God’ or ‘coming to Christ’. For ‘discipling’, ‘bring to God’ or ‘bringing to Christ’. People in the churches I work with seem to fully understand these, and quite clearly mean by them the same as people in nearby Evangelical Anglican churches that we work with mean when they say ‘discipleship’ or ‘discipling’ – we just have to be careful what we say to each other, as meanings can get confused! So what to do … well, the churches I work with need to start understanding the terminology for what it is rather than relating it to bad experiences of evangelism in their communities, whilst those using the terms maybe need to soft-pedal the usage and think about using terms such as ‘coming to God’ if that seems to suit the people they are talking to better. This was an excellent piece which stirred up in me the need for constant reminder to my beloved parish that we are all called to be disciples of the risen Lord. Preaching discipleship is a common thread in many of my sermons and your take on it is quite reaffirming. Thank you for this. There’s already a perfectly good word for those committed to Christ. It’s “Christian.” What more do you need? How about a term that Jesus used? The problem with ‘Christian’ is that it was formed by critics of the movement (formerly called ‘The Way’ in Acts) as a mockery, and today it is used in a culture sense often to mean ‘Western’. Someone used it in just this way to me only yesterday. Gréât article, Many thanks for tajking the time to share your enlightening reflection with us and sparking a great thread! That appears clear to me….am I ignorantly missing something here? I think if I went to my congregation I would have hard time explaining actually what they both mean or trying to say, if I went into Bulwell Market Place they would think I was talking a foreign language. If I said that ‘Jesus died so that we might have life everlasting’ or I am the way the truth and the life, some would at least understand. Indeed. But if you said to them: ‘Jesus invites you to a decisive break with the past, and embark on a new adventure of learning with others how to live like him’ I don’t think they would have too much difficulty in *understanding* that, would they…? 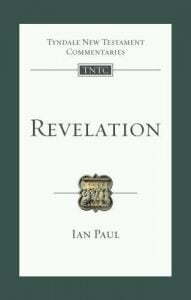 An interesting and learned piece, Ian Paul, and some very pious language in reaction to it. Another point made in a letter to the Church Times was that the Church of England really ought to speak English. Never mind whether it is biblical and anglican, does the word mean anything to anyone outside the devout and admirable, but possibly old-fashioned, occupants of the pews? Like other traditionally Christian words (‘kingdom’ is a good example), there is no need to scratch it from the liturgy, let alone the bible, but why use words that will not mean anything positive or relevant to an intelligent but largely secular audience – indeed, might turn them off before you’ve even got them listening? Does the Church want to address only its own members, and only a proportion of them even then, or should we talk a language that contemporary society understands? It seems obvious to me that the d word is pretty central to the Christian vocation. Arguments that it is not Anglican seem to me to be misplaced. But how much of a priority you give it in your discourse is another matter. I rather like the things that you say at the end about translation. There are a good many people in our pews who do not understand the idea, let alone the mass of people who think that we are bonkers for being Christian anyway. Moreover, I think what people need to both see and hear about is what discipleship looks like. In the context of Matthew 28 most people outside the church simply have no idea what we are talking about. What does it mean to be a follower? What story do you have to tell? How does it change what you do day to day? Where does it take you? How and why do you go where you go and do what you do? In Jesus time it was obvious – to be his disciple meant getting up and following the travelling nomadic preacher about. But what does it look like now? Does it mean that you have to put a white shift on like the young people at Canterbury in January? That looks heroic, but it is miles from where most people are. Can discipleship be an incremental thing? Can you start small in the matter of discipleship? And in our own considerations of the answers to these question I suppose I am also thinking, what about the development of character? Discipleship is a matter for a whole life, and many of us live for a very long time nowadays. Character is grown and does not spring forth fully-formed – so what is the relationship between discipleship and the growth and encouragement of virtues? (I guess I answer my own question about incrementalism in discipleship). What does discipleship for people who are getting older look like? In addition I wonder how this discussion relates to the questions about disenchantment and re-enchantment in our society. The disconnection between the small percentage who are actively Christian and the rest of our society means that we do need to be thinking rather more about how we interpret cultural movements as we want to make disciples. There. 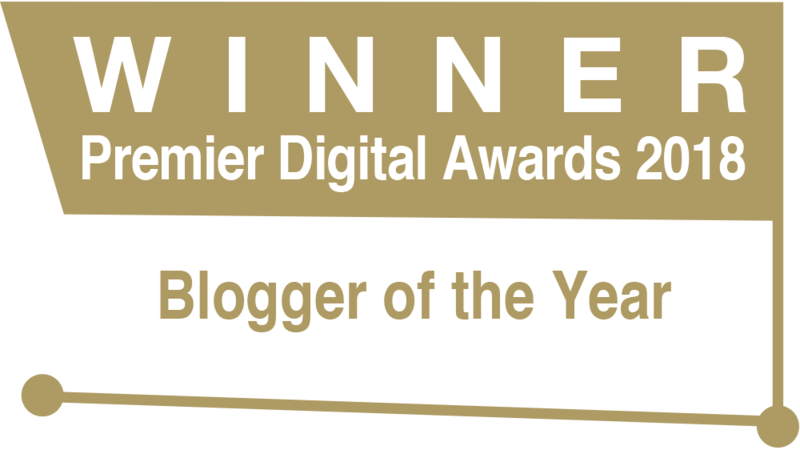 A whole post and I haven’t mentioned it once!